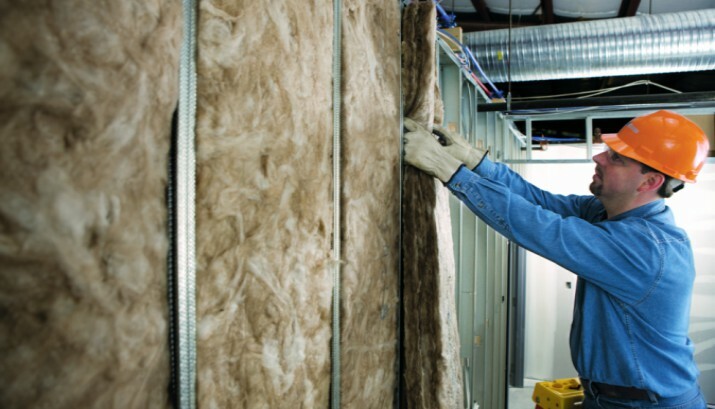 Insulation is an essential component of commercial buildings. Knowing each type of insulation is key because not only is it not interchangeable, but it will help ensure an excellent all-around seal that could lead to a money-saving investment. Radiant barrier insulation reflects heat by presenting a shiny surface in the direction the heat comes from. Radiant is usually very thin and comes in large rolls that resemble foil, making it easy to handle and the ability to do-it-yourself. Reflective sheeting works best at blocking downward heat flow, like attics and rooftops, where direct sunlight can disrupt central control. Batt insulation is the most common type of heat barrier used. It’s made from flexible material that can be cut into irregular shapes and pushed into wall spaces. Batt traps air between its fibers and prevents heat loss, making it very useful barrier for both interior and exterior walls. The low cost makes it an efficient choice for all-over coverage and large areas away from direct sunlight. Blown-in, or “loose-fill,” insulation consists of fiberglass material, like batt insulation. Blown-In needs to be loaded into a machine hopper and blown into gaps by a professional. The main advantage of blown-in methods is it has no initial form and can take on a form-fitting shape in small spaces and irregular areas. Spray foam is very similar to blown-in insulation, but is prepared as a liquid or foam that rapidly fills gaps, cracks and hard-to-reach crevices. This liquid insulation may be applied with a small can of spray foam to repair damages. Whether it’s reflective for a rooftop, batting for big walls, or blown-in for irregular areas, choosing the best insulation makes a world of difference to the efficiency of the building. For more information on insulation, Contact USI to find a branch near you. Download our Home Insulation 101 guide to learn about the many benefits of Insulation, including how to make your home energy efficient and to save money.